Choices: green alternatives is about making smart choices carbon footprint in your life everyday; about the simple things. Many times its the simple choices we make that can make the most difference...recycling with the blue container instead of just throwing the plastic bottle away; choosing less toxic alternative products to clean your home, ridding your life of junk mail, learning to compost, choosing to buy locally produced products that reduce carbons and emissions in the transportation of products. Learn to live sustainably – Sustainability is development that meets the needs of the present without compromising the ability of future generations to meet their own needs. Now that we have fully embraced "Reduce, Reuse Recycle" there are two more “R's" to learn. Don’t create waste if you don’t have to. – Use refillable bottles instead of buying a gazillion water bottles. – Copy documents on both sides of the paper instead of single-sided copying. – Use cloth bags at stores and just say NO to paper AND plastic. Any material or product you can before you give it away or recycle it. – Binders, manila folders, and envelopes, to name a few. – Paint that can be given to the drop off location at Last Chance Mercantile where it is offered to folks for free. Fix stuff before tossing it and buying new. – Buy a knife sharpener and revive those tired knives. – Buy furniture and products that last and fix or re-finish them to give them a new look. – Sharpen gardening implements…a sharpened shovel or hoe makes life so much easier. Kitchen scraps and yard trimmings are too valuable to bury in landfills. – In each residential cart destined for the landfill, approximately 40% of it is food and it is bulky and heavy. – Children love to compost and can learn so much about science if encouraged to participate in this fun process. Last but not least. If you cannot absolutely do something else with your stuff, find a way to recycle it. Choose the mail you want, stop the junk you don't. Junk mail is advertising of one sort or another that arrives in your postal mailbox along with the mail you really want or need. It's impossible to eliminate all of it, but you can substantially reduce the amount of junk mail you receive by completing a few simple tasks. How did they get your name to begin with? When you purchase a product or service and give the company your name and address, the chances are you are being added to one or more mailing lists used for direct marketing. When you purchase something, or input your information for a survey, or drawing, etc. your name, address, and other contact information, as well as the type of product or service, is entered into a computer data base which they may share with other companies use to solicit new products and services to you. - Look for the postcard that accompanies the flyers. It will have your address printed on it. Some postcards contain pictures of missing children. If you cannot find a postcard, then look for a mailing label attached directly to the flyer. You may see the name of the distribution company near your mailing address. If you don't find a label, you may find a phone number printed on the edge of the flyer itself. - If you know the company, contact them directly, and request that your address be taken off the mailing list. If you're making a written request, send a copy of your mailing label along with the letter. If you call, chances are you'll have to work through a telephone tree and leave your name and address on an answering machine. It usually takes at least four to eight weeks to be removed. In some cases, the companies have a website that will allow you to remove yourself from their lists. - If you don't know the company, contact the Direct Marketing Companies to have your name taken of sellable distribution lists and do the same as above. People throughout the country are rediscovering the benefits of buying local. Food can be fresher and tastier because of when it was picked and how it was grown. Buying local also means you are supporting local economies. Annually, Americans consume more than $600 billion in food. In most communities today food is purchased entirely at a grocery store or market, with only about 7% of local food dollars staying in the community. The other 93% of the modern food dollar travels to pay processors, packagers, distributors, wholesalers, truckers, and fuel, to name a few that a global food system demands. When more food dollars stay in the community through local buying, they are transformed into thriving main streets and local jobs. 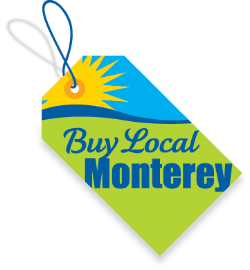 Learn more about why buying local is important. There are countless reasons why buying local food is a good choice. For instance, vegetables are harvested closer to their maturity which adds to their flavor and increased nutritional value. You support the local economy, use less fuel, create less pollution by reducing the transportation process. Frequenting local markets allow you to be more aware of food seasons, where foods are grown and how to use and enjoy foods you may have never seen or attempted to experiment with in a traditional supermarket. "Food miles" refer to the distance a food item travels from the farm to your home. The food miles for items in the grocery store are, on average, 27 times higher than the food miles for goods bought from local sources. In the U.S., the average grocery store's produce travels nearly 1,500 miles between the farm where it was grown and your refrigerator. About 40% of our fruit is produced overseas and, even though broccoli is grown all over the country, the broccoli we buy at the supermarket travels an average of 1,800 miles to get there. Notably, nine percent of our red meat comes from foreign countries, some as far away as Australia and New Zealand. When food is transported across countries, hauled in freighter ships over oceans, and flown around the world. A tremendous amount of fossil fuel is burned to transport foods such long distances, releasing carbon dioxide, sulfur dioxide, particulate matter and other pollutants that contribute to global climate change, acid rain, smog and air and sea pollution. The refrigeration required to keep our fruits, vegetables, dairy products and meats from spoiling during their long journeys burn up even more fossil fuel. Buying locally or directly from farmers can dramatically increase a farmer's income. Buying direct from a farmer sends 90% of those food dollars back to the farm. Increasing farm income means more money can be spent locally by the farmer to run their business and home, helping keep the local economy flourishing. Try these non-toxic or less-toxic products as alternatives to hazardous household chemicals. While a little more "elbow grease" may have to be used with some of these products, the benefits in terms of improved indoor air quality, decreased exposure to chemicals, fewer waste disposal concerns, convenience, and lower costs should make the switch an easy one to make.